In preparation for my looping experience and in celebration of my fancy new bins...I'm working on a giant book sorting project this summer. 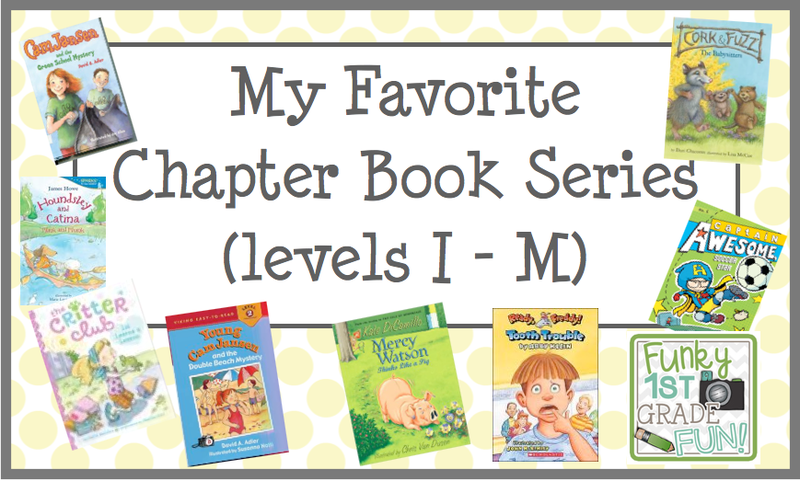 It's still a work in progress, but I thought it was a good time to link up with Deanna Jump to share some of my favorite chapter book series. At the beginning of the summer, I reread The Book Whisperer. If you haven't read it, I highly recommend it. Here is one of my favorite quotes from the book, which refers to student reading surveys. Since I am looping with my students, one of my goals is to really get to know my readers. In first grade, we poured our hearts into becoming readers and learning how to love books together. During our 2nd grade year together, I want each of my students to develop their reader identity. 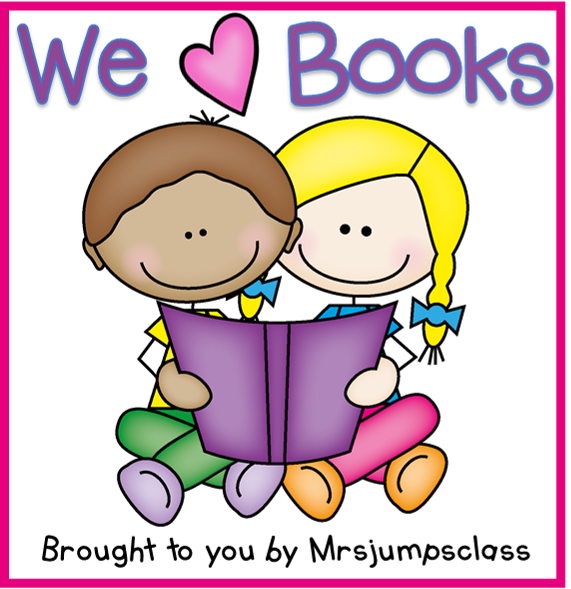 As their teacher, I want to make sure I "whisper" to them by listening carefully to their preferences, fostering their interests, acknowledging that I know and respect their individual reader identity and making sure that I have a variety of books available for them to read independently. Along with that, I want to make sure my books are organized in a way that motivates my students since they are now more sophisticated readers. That is how I justify the outrageous amount of money I've spent on new books and bins this summer. Ha! Another take away I had from reading The Book Whisperer was the importance of giving readers choice. In her book, Donalyn Miller said that she used to read whole class novels with her upper elementary students. She said she discovered that lack of control over reading choice was a problem until she stopped doing that and switched to a workshop structure instead. I do feel like I give my readers choice in my own classroom, but after reading this book 3 or 4 times I have a list of ideas of ways I can improve my own instruction. 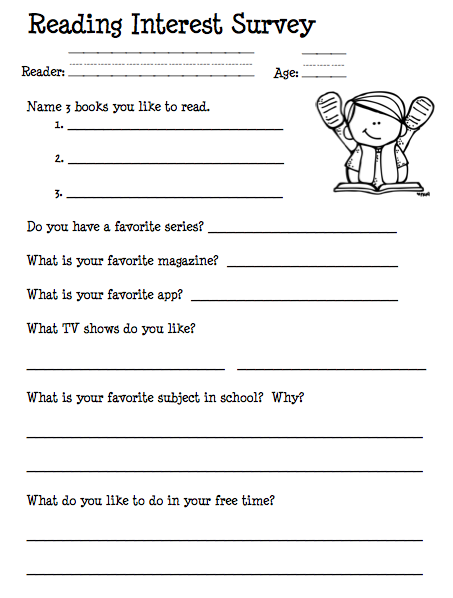 I made a new Reading Interest Survey to use with my students this year. You can click on the image below to download a copy. I also decided to start with reorganizing my books (and buying lots of new chapter books) to start 2nd grade. 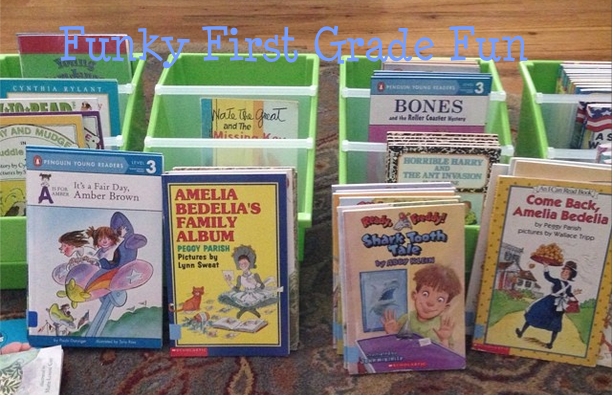 I found these amazing chapter book bins from Really Good Stuff. They have 3 divided sections, which are perfect for separating books in a series. They come in a variety of colors. *We use Fountas & Pinnell levels. Many of the series on this list are new and have not yet been leveled on many of the leveling sites, so I assigned levels that are close enough for me. I'm simply sharing the list in this format in case it's helpful for any other teachers out there. You can click on the image to download a copy of the list. Today, I am going to my classroom for the first time to move my furniture around. No flip flops. Hair in a messy bun. Pray for me. Surely this will count as my weight lifting for the day. Head over to visit Mrs. Jump's Class to read about other great books. Thanks for the survey. I tried to download the chapter series list, but it said that I do not have permission to download this. Am I doing something wrong? I'm not sure why it wasn't working earlier. Sorry! I reposted the link. Try it again and let me know if it doesn't work. These are great books! I love Cam Jansen, Frog and Toad, Nate the Great, Amber Brown, Amelia Bedelia, Junie B. Jones, Magic Tree House, and Mystery series by Ron Roy. So I'm sure I will really love all the rest of these books! Thank you for the suggestions! I'm going to Amazon right now. I need some more chapter books in my classroom library. Also the download worked perfect for me just to let you know. I've been eyeing those book bins from Really Good Stuff. They look great. Plan on going ahead and ordering them. 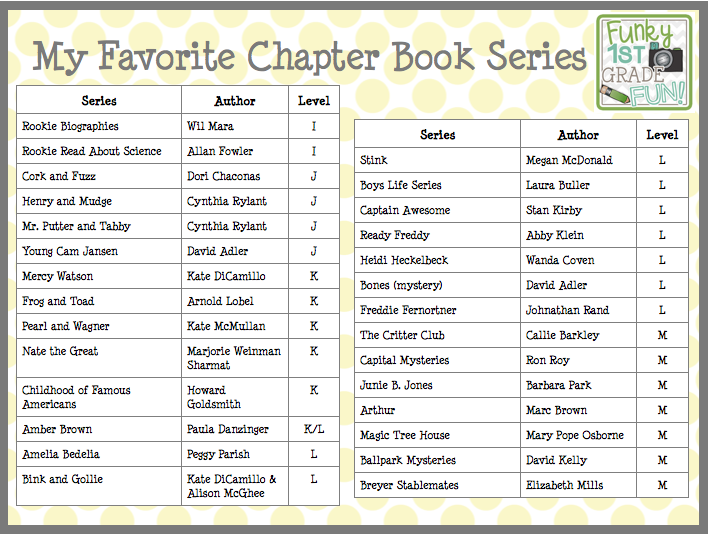 Many of my first graders do not start chapter books until second semester, but you have some of my favorites on your list. Frog and Toad books are always winners with my students. Hey Kimberly! I don't think that I knew you were looping to 2nd! Yay! Can't wait to see what you have in store for your students this year. I love love love The Book Whisperer. I reread it every summer. I just ordered Reading in the Wild, so I'm excited to get some new inspiration from Donalyn before I head back to school! Our daily schedule was changed this year, so we have a 10 minute chunk between specials and lunch... I can't wait to use that time as a chapter book read aloud time. I recently made a list of books I want to read aloud this year-- let me know if you need more ideas and I'll send it your way! Enjoy your last few weeks of summer!